We’ve already heard that the UK Supreme Court must accept freedom-of-information requests via Twitter, in the wake of its decision to launch a Twitter account to announce rulings. And this was preceded by a top UK judge announcing that journalists could live-tweet court cases without asking permission. Is it possible for social media to make any more inroads into the legal realm? It seems so. As the Telegraph reports, a landmark ruling has confirmed that legal claims can now be served via Facebook in England and Wales, after being given the go-ahead by a top High Court judge. 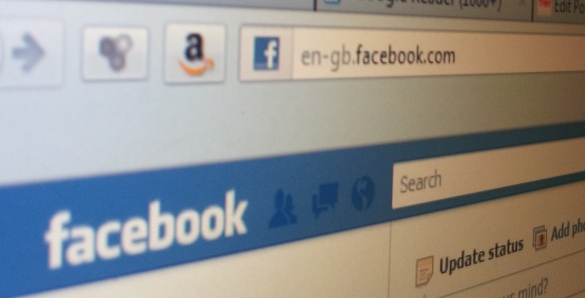 Facebook has been used before to serve legal notices in the UK, and we reported last year that a Sussex-based lawyer was the first person to serve a court summons via Facebook. Hilary Thorpe said that she had found it difficult to get a debtor to attend court to answer questions about their finances, and had tried all traditional methods of contacting the individual. She cited a similar case in Australia that saw a lawyer, who was representing a financial lender, serve legally binding documents to a couple, and Thorpe asked if the same could be done in the UK. Subsequently, she received permission from Hastings County Court, meaning she was then able to serve the court order via the world’s most popular social network. Now, however, Mr Justice Teare has given the green light for the social networking site to be used in another case where there were difficulties locating one of the individuals involved, and is the first time such an action has been approved at such a high level. Indeed, back in October 2009, The High Court gave permission for an injunction to be served via the micro-blogging site, against an anonymous Twitter user who was posting to the site using the same name as right-wing political blogger Donal Blaney. Of course, the nature of social networking sites means that they’ll typically only be used in situations where there’s no other means of contacting a defendant, given that there’s no guarantee that they are the correct person. Depending on privacy permissions, avatars, pseudonyms and such like, it will often be impossible to use Facebook or Twitter to effectively identify and summon a defendant to court.